Da Nang (VNA) - Hoa Vang district in the central coastal city of Da Nang has been recognised as a new-style area. Deputy Minister of Agriculture and Rural Development Nguyen Thanh Nam granted the Prime Minister’s decision to the district’s authorities during a May 10 ceremony to review the implementation of the National Target Programme on New Rural Development in the city from 2011 to 2015. Hoa Vang is the only district in Da Nang carrying out the national target programme. During the past five years, 10 out of the 11 communes in the district achieved all the 19 criteria under the programme. By the end of last year, the district’s annual per capita income reached 27.4 million VND (nearly 1,200 USD) and its poverty rate dropped to only 2.3 percent. About 93.9 percent of the population had health insurance. 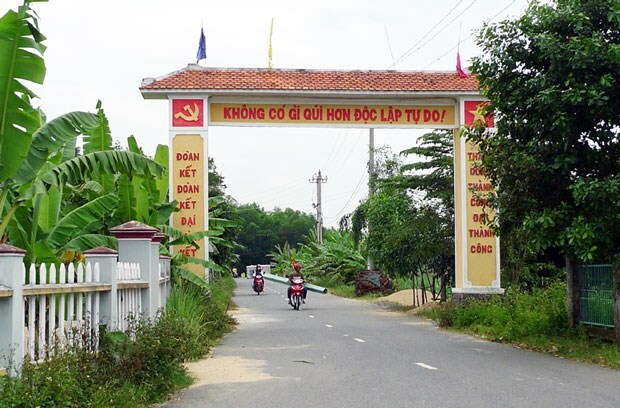 The district strives to have all of its communes recognised as new-style rural areas this year and raise annual per capita income to 40 million VND (1,740 USD) by 2020. In order to reach the goals, Hoa Vang will focus on industrialisation and modernisation of agriculture while increasing hi-tech application in production. The district will also prioritise investment in developing tourist sites such as Ngam Doi, Hoa Khuong and Hoa Bac. It is expected that the total investment for the new rural programme in the district from now to 2020 will be 2.13 trillion VND (92.6 million USD).